Saturday, 20 Jul 2019 at 7:30 PM . All-Star Brit Funk Supergroup featruring members of Beggar & Co, Hi-Tension, Central Line and ex-members of Light of the World & Incognito. The Brit-Funk Association is a new project featuring musicians from Beggar & Co, Central Line, Hi-Tension and ex-members of Light of the World and Incognito to perform from each of the band's back catalogue such as "Time", "Somebody (Help Me Out)", "Walking Into Sunshine", "Hi-Tension", "British Hustle", "There's a Reason", "I'm So Happy", "London Town", "Nature Boy", "Everyday" and choice selections of band's that influenced them by acts such as Mass Production, Kool & The Gang, Roy Ayers Ubiquity and more. 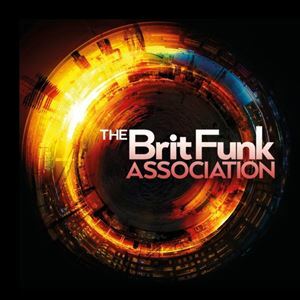 The Brit Funk Association recently released a new album "Full Circle" on Expansion Records. The Brit-Funk genre started in the late 1970's and was a catch-all phrase coined by Record Mirror Magazine's James Hamilton to describe the distinctive mix of jazz-fusion-funk-disco music being made by UK bands such as Level 42, Light of the World, Freeez, Shakatak, Central Line, Hi-Tension, Morrissey / Mullen, Second Image, Direct Drive, Linx and Incognito.